Heaven only knows why our founding fathers didn’t carry Britain’s tea time tradition overseas. I’m not a huge tea person but I’m a tremendous fan of afternoon pastries. On this particular afternoon I hit a slump and needed a snack. (After all, it had been a whole two hours since lunch.) A craving for scones railroaded me. I didn’t have all of the ingredients on hand for the recipe I was working off of so I improvised. 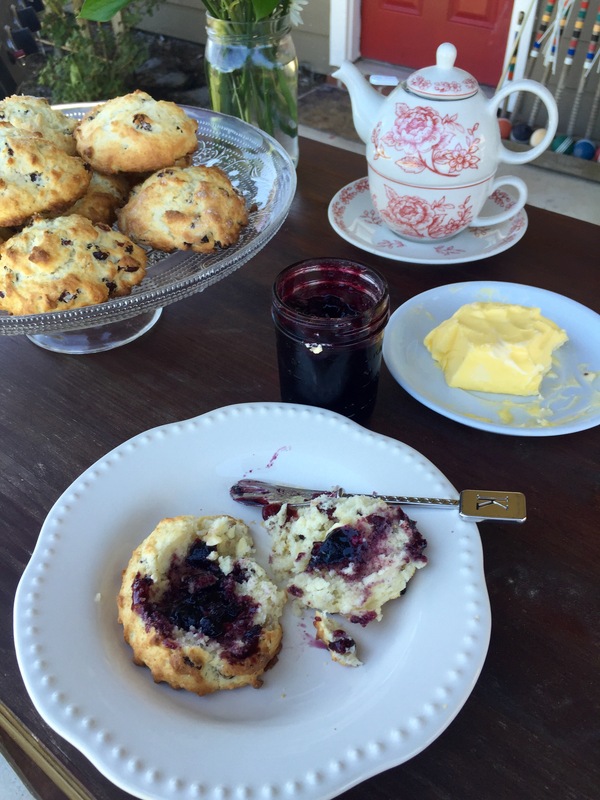 The result is hands down the best scone I’ve ever had. I hope you love it as much as I do! Preheat oven to 400 degrees. Lightly grease two cookie sheets. In a medium-sized mixing bowl, whisk together the flour, sugar, baking powder, salt, lemon zest, and dried cranberries. Using a 1/4-cup measuring cup, scoop dough onto two lightly greased or parchment-lined cookie sheet. (The rounds should look similar to large cookies about to go in the oven.) Sprinkle scone dough with raw sugar. Bake for 15 to 18 minutes or until they’re golden brown. Serve warm with butter and jam. Don’t forget to follow The Rose Table on Facebook, Twitter, and Instagram! Sign up for emails here.